The judges of this week were: Andreas Sarkar, Saloni Sharma, Avantika Singh and Robin Verma. 1 Answers to be given in English only. 2 Word limit: 100 words at the max. You may check word-count using any of the numerous online tools like http://www.onlinecharactercount.com/ or Word. 3 Answers copied from the internet or having plagiarism issues shall be disqualified. 4 Answer only as comments on the original post made on the page. 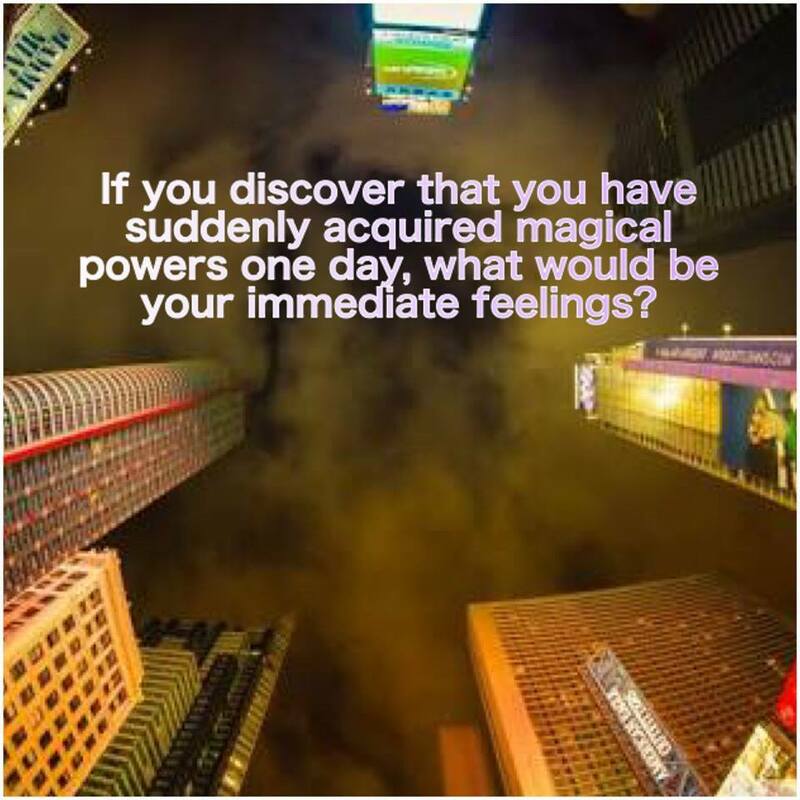 Nehal’s Answer: No doubt… The moment I discover I’ve acquired magical powers I will feel Enormously Fortunate.. And Happy like there’s no Limit to it! Knowingly with these large powers comes the responsibility to safeguard them and utilise them in every positive way.. So I would also feel Responsible and evolved! Daniel’s Answer: Being a potter-head I won’t be amazed but yes it would be dream come true. Having a magical power is always a potter-head dream and to use that power would be so awesome. Using spells to create a fire, making our enemy blew into air or maybe turn them into some mythical create ride on them. Or maybe creating your own “Hogwarts school of witchcraft and wizardry” to have the same feeling to go through in reality which we went through the series. Being sorted into your house meet new people around the globe who share the same passion about magic.